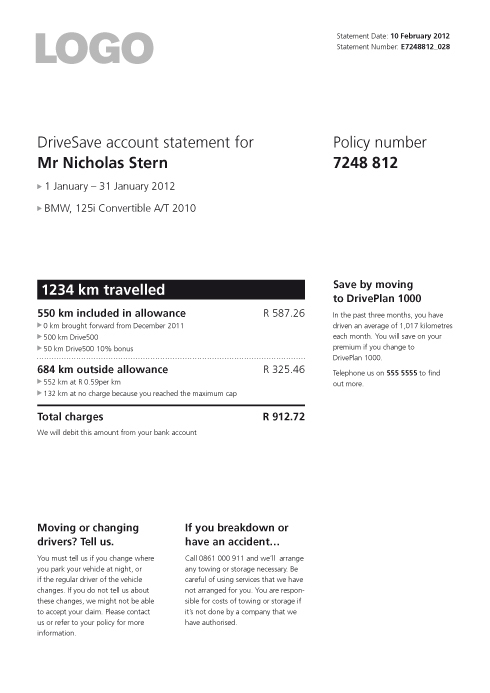 Although 2012 gave me two of my biggest projects to date, the one I enjoyed the most was this smaller one: redesigning a statement for a company, based in South Africa, that provides car insurance ‘by the kilometre’. Simplified are Frances Gordon and Candice Burt who help organisations to produce clear, effective business communications, from letters to contracts, from reports to websites. This project came to me through Simplified, who I have worked with on a couple of projects, and on a piece to raise the awareness of plain language. if the plan they are on is most suitable for their needs. As it stands, this project isn’t live yet (hence the LOGO logo) but hopefully it will see the light of day soon. Onewidecolumnitis: This is a common occurrence in dynamic documents that are created internally (usually by slightly disgruntled programmers looking for the quickest solution), where the full width of the page is used for a single column. This is generally done to allow for large numbers, but it’s always worth being realistic about what your worst case number might be, and how often it will occur. 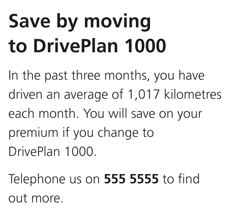 By my reckoning, there’s enough space for the vehicle to do 1,000,000,000,000,000,000,000 km in a month and space still wouldn’t be a problem – but it may need a service or two. No typographic differentiation: Almost every document I review seems to suffer from this. Put simply, everything is the same size and a bit of bold is used for some headings. One blessing of this is that the small print isn’t actually small, but it does mean it’s difficult to see what’s most important. In this example, I don’t think it’s immediately clear which of the numbers is the amount that matters – what it’s all cost. A sum that makes no sense: As a customer, if you’re showing me a column of numbers, they should easily lead to a total. 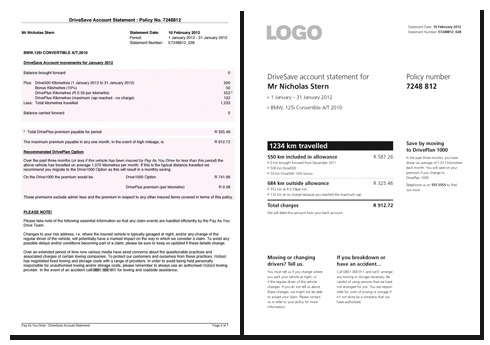 The way the numbers are presented in this document are especially confusing as distances and amounts are listed in in the same vertical line. 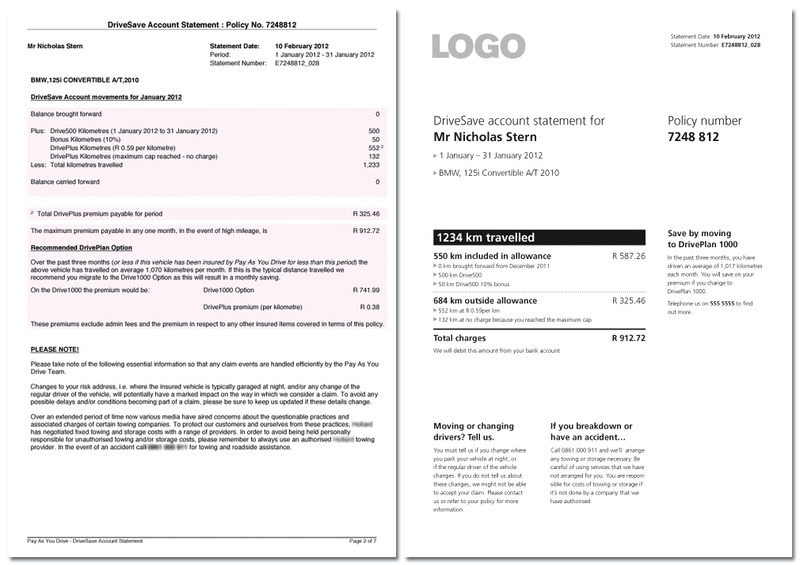 A neater layout: Never mind any detail, just a better layout makes a document look simpler. Making a customer’s information (such as account number) easy to find is helpful should they ever need to speak to the company because it’s often the first thing the customer is asked for. 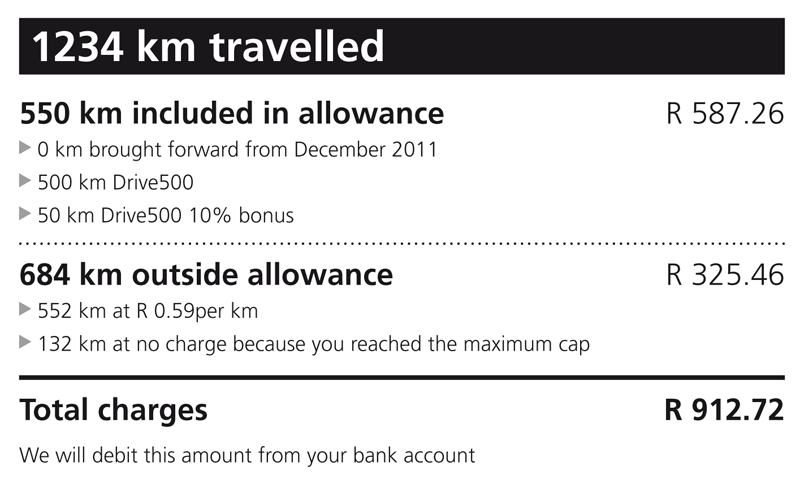 A clear explanation of what’s been used: The most prominent number on the statement is not how much is to be paid, but how many kilometres have been used. 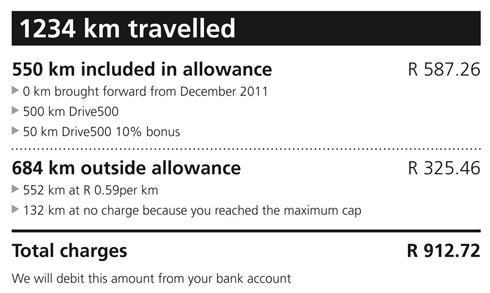 The explanation below this total gives details for what is used in the allowance, how the allowance is worked out and the costs for the kilometres used outside the allowance. This large km total is also an opportunity for the company to suggest a more appropriate product for the customer in the form of a message based on data from previous statements. A clear explanation of what it’s cost: Giving the ‘inside allowance’ and ‘outside allowance’ kms their own total means the sum becomes very logical. 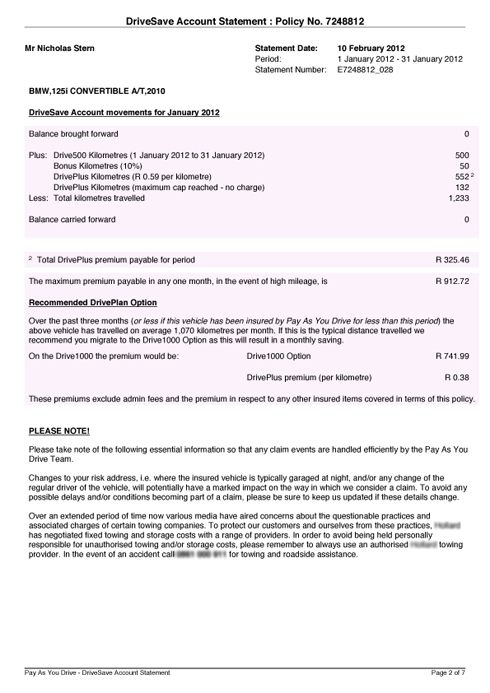 In the old statement, the amount for km outside the allowance appears, as does the total. But because there is a missing number, the relationship between them isn’t clear. ← New York parking signs – could they get even better?